Able to change the Numbering Style. What magic incantation must be performed to permit changing the heading style? 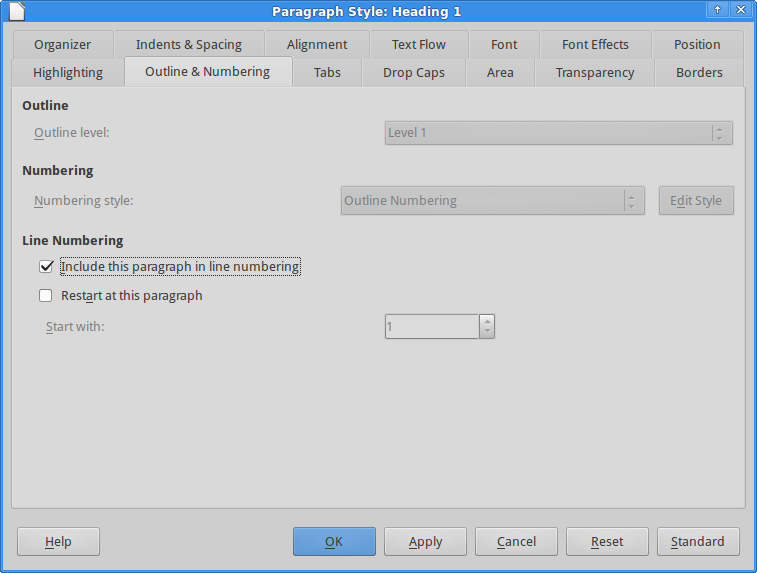 These options are disabled because this style is associated with a numbering level in Tools▸Outline Numbering▸Numbering tab, command to use to define the chapter numbering options. The way you process is to be used for a paragraph style you want to include in the table of contents although it is not a title.